Pokémon GO: the best health app ever launched? In just the few weeks since its launch, augmented reality game Pokémon GO has broken records and turned into a global sensation, creating legions of players willing to wander for miles in pursuit of prized Pokémon. The game uses a smartphone’s GPS technology to map out a player’s local surroundings and inserts virtual Pokémon characters in the environment – by a bus stop, in a park, or in the supermarket. These augmented reality characters can only be seen through the screen of the phone, and trainers must throw a Poké Ball to try and capture the creatures, which have names such as Bulbasaur, Charmander and Squirtle. The app currently has around 30 million daily users, and some statistics suggest its is generating longer daily user engagement than Facebook. The game was created by Niantic, and Nintendo, original creator of the Pokémon franchise, has experienced a share surge of over 86%, seeing its value jump by $17 billion. Pokémon GO is being seen as more than a game, as some are claiming it offers real health benefits. Players – or ‘trainers’ as they are known – are finding they are covering many miles on foot in pursuit of the characters, which enthusiasts say is inadvertently making Pokémon GO the best ever fitness app launched. Many users are also taking to social media to praise the game for helping them overcome depression or anxiety, thanks to the exercise, providing a daily focus, and interaction with other players online and in the ‘real world’. 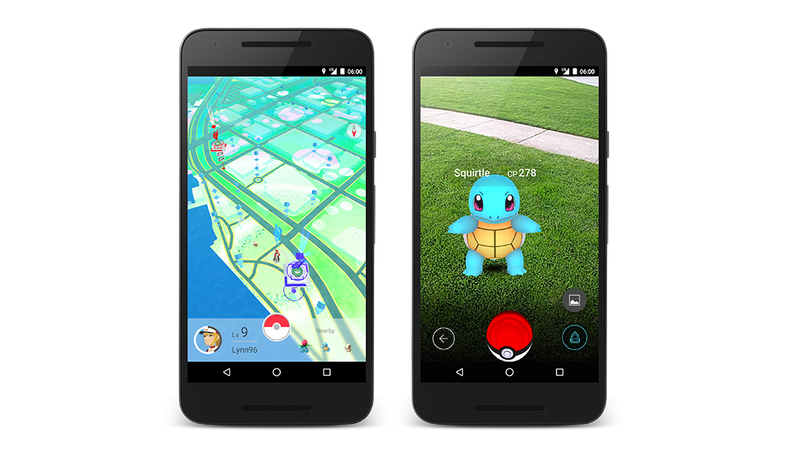 Pokémon GO uses smartphones’ GPS signal to build a virtual map based on the player’s real-life location. Naturally, there are some downsides – reports of users unaware of their surroundings walking into dangerous situations have surfaced over the short period of time the game has been available worldwide. The concept of ‘gamifying’ social issues is one of the fastest growing sub-sectors in the digital health field. iThrive, a teen gaming developer, produces games with the intent of transforming teen psychology, enforcing positive attitudes to help address the broader aim of helping teenagers lead a better life. The company was recently recognised at the latest NHS Innovation Accelerator Summit. 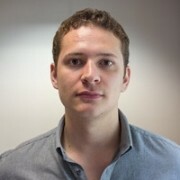 Other examples include Cancer Research UK’s Citizen Science data analysis platform, which allows members of the public to contribute towards cancer research through apps or games. Its Play to Cure: Genes in Space app helps with cancer research whilst the user plays a space simulation shooter. In 2015, Apple released its open-source software platforms CareKit and ResearchKit, with the vision of turning every smartphone user into a potential source of valuable real world health data. CareKit – which gives developers access to tools to create their own wellbeing apps – and ResearchKit, focused on improving clinical trial enrolment and research, have led to a vast number of innovative smart device applications. CareKit has led to such apps as the diabetes care application One Drop, whilst ResearchKit has led to various academic institution apps including Stop COPD and Mole Mapper. 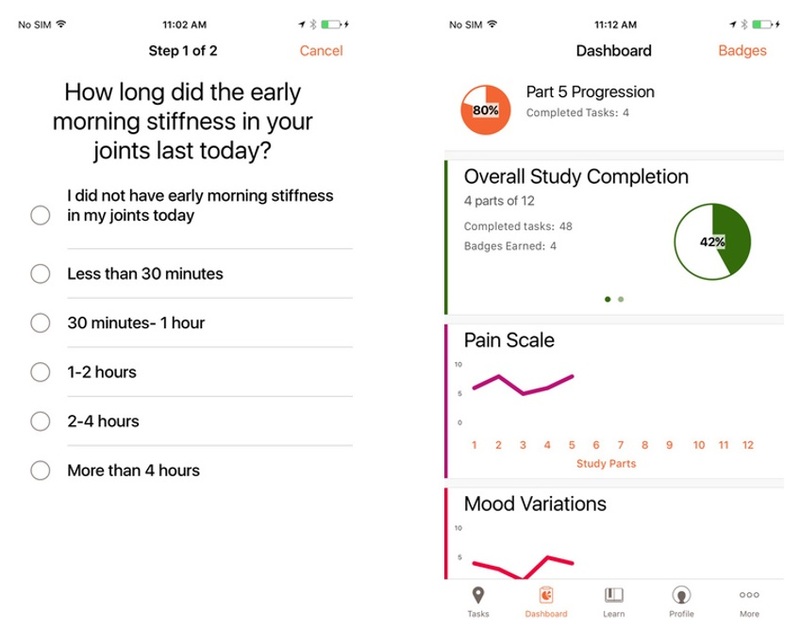 Now, GlaxoSmithKline has become the first pharma company to use the ResearchKit platform with the launch of its GSK PARADE app. The PARADE app is the accompanying platform for the company’s Patient Rheumatoid Arthritis Data from the Real World (PARADE) study which aims to collect data about rheumatoid arthritis symptoms through the use of surveys and iPhone sensors. A total of 300 participants will have their activity and quality of life tracked over a three-month period – information which the company intends to integrate in the design of studies into new drugs for the condition. The simple app interface allows participants to answer questions about their quality of life that could aid in treatment management decisions. The information collected will be readily available to the user, which they can share directly with their healthcare providers, informing conversations about possible treatment strategies for their condition. Leaders of England’s National Health Service (NHS) are in a hurry to see the delivery of healthcare change. The Five Year Forward View is NHS England’s blueprint for change, which includes far greater integration between primary and secondary care and social care – as well as the adoption of new care models and new technology. Part of the plan is to embrace digital technology, and this week saw signs that one pioneering programme is having an effect on patient outcomes. A report published by the Tinder Foundation revealed the results of the Widening Digital Participation programme, which aims to increase the number of vulnerable people accessing healthcare information via the internet. Over half of the programme’s participants so far have reported a higher level of confidence in managing their own health, 21% have made fewer calls or visits to their GP, and 6% have made fewer trips to A&E departments – findings that have led to an estimated £6 million in savings for the NHS in just 12 months. In addition, a reported 65% now feel more informed about their health, 52% say they feel less lonely, and 62% say they feel happier as a result of social contact. The programme has so far reached 220,000 individuals, 82% of whom have experienced at least one form of social exclusion, including disability, homelessness or employment. This demographic tends to include older generations or those affected by poverty who have higher health and social care needs. Two more intriguing statistics to come from the report include 54% of learners in need of non-urgent medical advice claiming they would instead go to the internet before consulting their GP in future, and 51% of learners using the internet to explore ways to improve their mental health and wellbeing. The Government is heavily investing in addressing both issues with recent respective moves to adopt video GP visits and the recent publishing of the Implementing the Five Year Forward View for Mental Health plan.